Lilia Alberghina is the Director of SYSBIO, Centre of Systems Biology, Milan, Italy. Full professor of biochemistry from 1977 to 2010, first at the University of Milan, then at the University of Milano-Bicocca, and presently Emeritus at the latter. 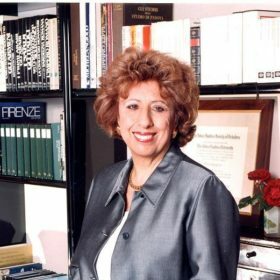 She is a member of the Italian National Academy of Sciences (“dei Quaranta”), Gold Medal Recipient of the City of Milan, Scholar of the Johns Hopkins University (USA).